A Union City, Indiana, woman was cited on a stop sign violation charge after she reportedly failed to stop at a stop sign and caused a two-vehicle crash. A two-vehicle accident occurred at State Route 49 North and Children’s Home Bradford Road. Two people were taken to the hospital following a crash on Monday. GREENVILLE — A two-vehicle accident Monday afternoon left the drivers of both vehicles transported by EMS for their injuries. 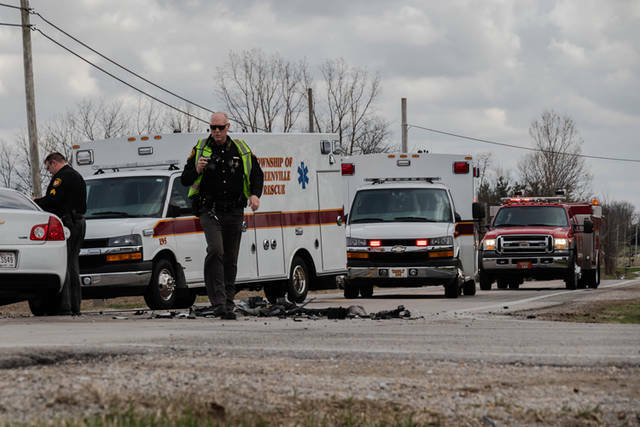 At approximately 3:40 p.m., emergency personnel from Greenville Township Fire and Rescue along with deputies from the Darke County Sheriff’s Department were dispatched to the intersection of State Route 49 North and Children’s Home Bradford Road in reference to a two-vehicle accident with injuries. 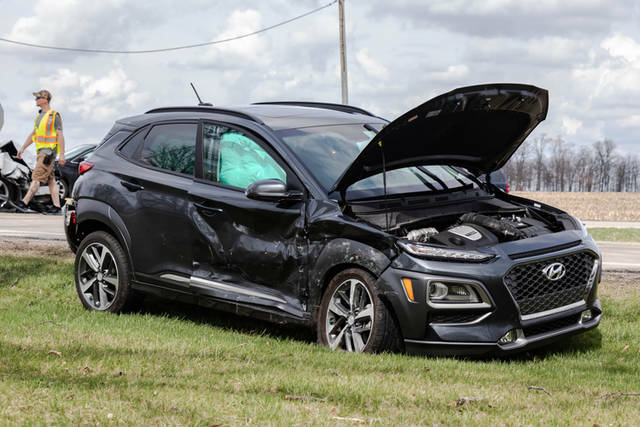 According to the Darke County Sheriff’s Department, a preliminary investigation into the accident revealed a gray 2018 Hyundai Kona, driven by 29-year-old Michelle Mangen of Union City, Indiana, was traveling westbound on Children’s Home Bradford Road when Mangen failed to stop at a stop sign and continued into the path of oncoming traffic. 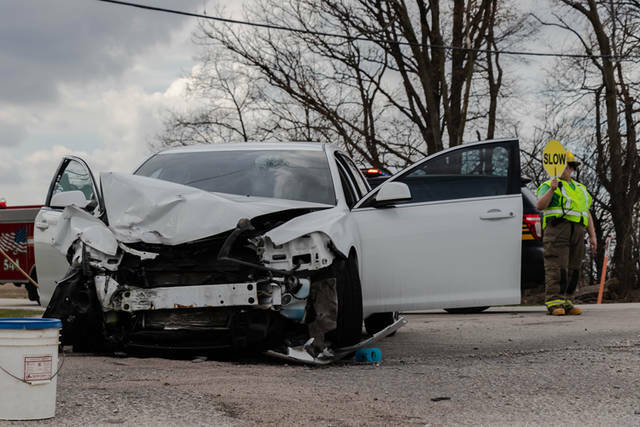 A white 2011 Chevrolet Malibu, driven by 21-year-old Andres Ulloa-Conteras, also of Union City, Indiana, was traveling southbound on State Route 49 when the vehicle operated by Mangen caused a collision with Ulloa-Conteras’s vehicle, resulting in heavy front-end damage to the Malibu. 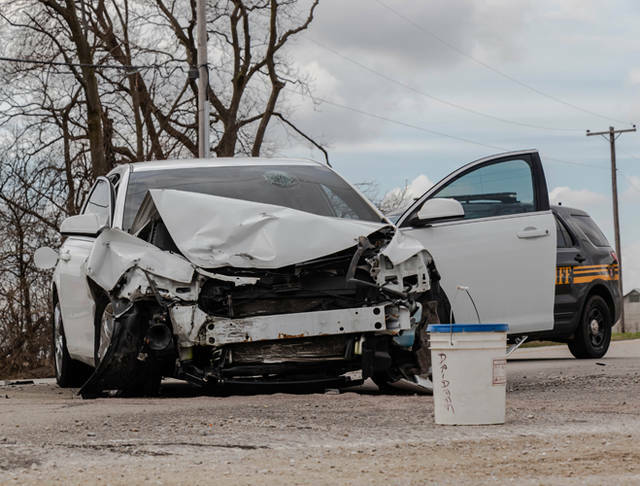 Both drivers were treated on the scene by Greenville Township Rescue before being transported to Wayne HealthCare for what is thought to be non-life-threatening injuries. Mangen was cited on a stop sign violation charge. The accident will remain under investigation by the Darke County Sheriff’s Department. 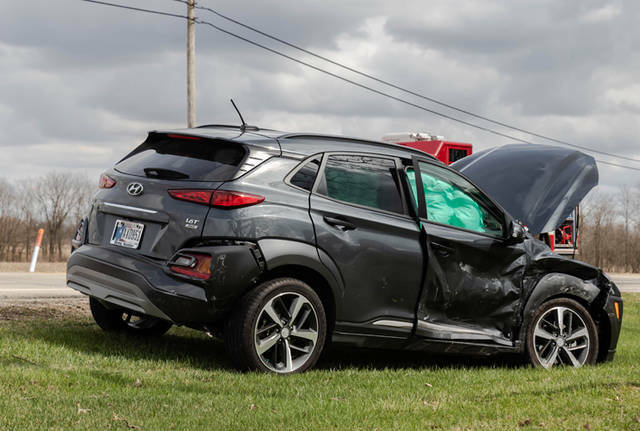 This entry was tagged crash, Darke County Sheriff’s Department, Darke County Sheriff’s Office, Greenville, Greenville Township Fire and Rescue, Greenville Township Fire Department, Greenville Township Rescue, Indiana, Union City, Wayne HealthCare. Bookmark the permalink.